The first person to face a second murder trial following the discovery of new forensic evidence has been convicted of killing a woman in 1995. Mark Weston, 35, was unanimously found guilty of battering 30-year-old Vikki Thompson in Ascott-under-Wychwood, Oxfordshire. She died six days later. Weston was cleared in 1996 but the case was reopened in 2005 when the "double jeopardy" rule was removed. He was ordered by a judge at Reading Crown Court to serve at least 13 years. New DNA evidence led to Weston's second trial. Small amounts of Mrs Thompson's blood, which were missed during the initial investigation, were discovered on a pair of Weston's boots. Weston, an odd-job man, denied murder during the second trial. Prosecutors said he chased and killed Mrs Thompson because he realised she had caught him masturbating while watching her as she walked her dog on the afternoon of 12 August 1995. She was found bludgeoned but still alive near a railway line after her dog returned home alone. Prosecutor John Price QC told jurors during the trial: "There was a lot of blood. She moved, and in the minutes that followed, her husband, having arrived at the scene and before Mrs Thompson could be taken away by air ambulance, she was able to speak, though not in any coherent fashion. "She was not able to say what had happened to her, nor was she able to say who was responsible." Mrs Thompson, who lived with her husband Jonathan and two young children in the small village, died in hospital six days later after suffering skull fractures and a severe brain injury. After the verdict Mr Thompson said: "It has taken over 15 years to arrive at this point but finally we have justice for Vikki and we are grateful for that. "It has taken a change in the double jeopardy law and an advancement in DNA technology and a lot of hard work from the police cold case review team to get us to this point today. "So, justice has been done in the court but, ultimately, there is no justice in death. "Mark Weston will be looked after in prison, Vikki is never coming back. "The death of a loved one, be it a wife, mother, daughter or sister - and Vikki was all of those - torments those who are left and it is worse when it is in such horrendous circumstances as this. "When Mark Weston killed my wife and the mother of our two children he took a part of me and them that will never come back. "We have to live with that. We have had to since Vikki died and we will have to for the rest of our lives." Pete Beirne, a retired detective recruited by police to investigate unsolved crimes, said after the trial: "This is the first time using double jeopardy legislation that new forensic evidence has been used to secure a conviction, so it's very significant." Two scientists both found blood marks on Weston's boots. Jurors in Weston's first trial in 1996 found him not guilty after 50 minutes of deliberations. The foreman of the jury wrote to Weston after the trial wishing him luck and urged him to pursue the police for compensation. In 2005 the so-called "double jeopardy" rule, which stopped people being arrested for the same crime twice, was removed for serious offences in England and Wales. 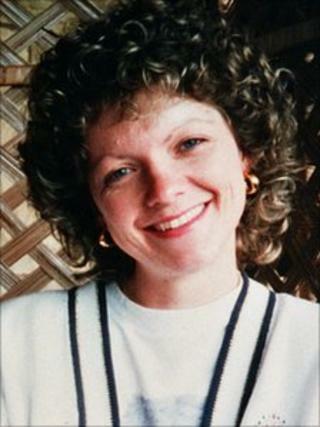 The same year, detectives reopened the Vikki Thompson murder case. Weston was arrested again at his home in Ascott-under-Wychwood on 21 October 2009.